Search Engine Optimization (SEO) has become the best ROI in digital marketing, and with good reason. People overwhelmingly turn to the internet to find information about products or services they need and ultimately making their purchase decisions. To stay competitive in Canberra, it’s critical that when your potential customers turn to Google to find what they are looking for, you’re there to greet them. Every day that you are outranked by your competitors in the most popular searches related to your business, your business is losing untold amounts of money in business, as the customers who were looking for you are finding your competitors instead. Why not turn the tables with the most cost effective marketing strategy available in the modern age? We at Divergent Media specialize in getting Canberra businesses ranked in Google, Yahoo, and Bing. But we don’t just stop there. The truth is, many SEO firms can get you ranked. We take it a step further by developing a custom marketing strategy for your business that drives targeted traffic to your page. We take a proactive approach to SEO that doesn’t just get you ranked, but drives your most preferable customers right to your door, and gives them a compelling reason to do business with you. How do we do this? Think of your website as a property. When you are looking to sell, you need to make some repairs, maybe paint or replace some carpets, and find a realtor to get it on the market. You can think of Divergent Media as your contractor, decorator, and realtor when it comes to your web presence. To rank highly in Google, the technical elements of your website need to be in good shape. 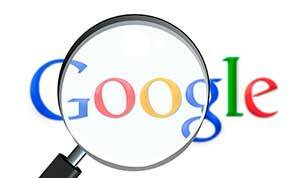 Google considers website speed, navigation, and more when determining which websites to favor. We can perform a thorough audit of your current website and make sure it is optimized to meet Googles standards, as well as provide a professional and functional space for your visitors to learn about you. If you want a brand-new website built from the ground up, we can do that too, working with you every step of the way to ensure that your web presence reflects the pride and dedication that you have in your business, as well as pleasing Google’s crawler programs. Content marketing is the bread and butter of any Canberra SEO strategy. To show Google that you have what searchers are looking for you need content that is engaging, well-written and relevant to the most popular searches. When Google “crawls” your web page, it looks for relevant keywords and their use and frequency. To get the highest ranking, your content needs to integrate keyword research in a natural way, and our team of copywriters happens to be experts at providing just that. Compelling, engaging content that communicates with your users just as well as it does with Google. 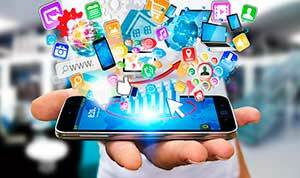 Spend just a little time on social media, and you will see that businesses large and small are taking advantage of the medium. Social Media is designed to keep people connected, and thus, can keep you connected with your valued customers in a way that was never possible before. Social media impacts your overall SEO because Google considers social media activity as a part of its ranking algorithms. 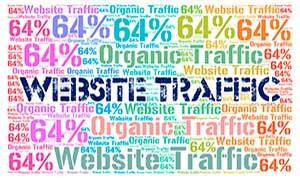 The more traffic is driven to your site through social media, the more relevant and interesting it appears to be. When deciding which Canberra SEO agency to partner with, it’s crucial that you choose an SEO firm that understands that the best SEO is about more than just getting ranked. It’s about creating a comprehensive marketing strategy that gives your customers the best experience possible and keeps you on the cutting edge of the modern age. Google and other leading engines update their algorithms constantly to improve their user’s experience, leaving many Canberra SEO firms in the dust. Through comprehensive research and analysis, we stay on the cutting edge of digital marketing and SEO methods, ensuring that you stay one step ahead of your competition. Many Canberra SEO firms can get you ranked, at least in the short-term, but we at Divergent Media take it a step further. We aim to create a long-term strategy that will give your business a solid foundation to grow on. Give us a call today and find out how we can help you take advantage of the best ROI in modern marketing.